Chef Kenny Tang, expert in preparing delicate masterpieces, has over three decades of culinary experience. He began his career at the age of 18, under the tutelage of one of South China’s most distinguished chefs. 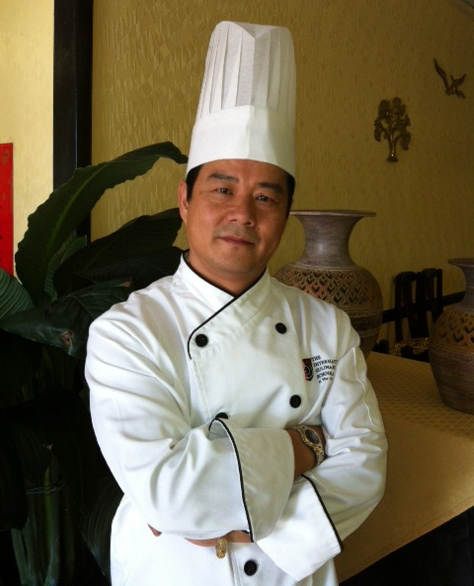 Chef Kenny Tang simultaneously served as the Founder and Executive Chef of the Jumbo Restaurant of North Miami Beach, Beijing Restaurant of Pembroke Pines, Dimsum Village of Coral Springs and the Dim Sum Village of Tampa, all of which individually accommodated up to 400 patrons. Executive Chef Kenny Tang has had the honor of catering his exquisitely designed, hand-made Dim sum creations to President George W. Bush and President Barack Obama during their visits to South Florida. Chef Tang is the creator of the innovative concept “FantAsian Live Station” and currently provides catering services to five star hotels throughout South Florida including but not limited to the Breakers, the Biltmore, Ritz Carlton, Boca Raton Resort, Mandarin Oriental and the Four Seasons Hotel. TK Oriental Find Foods has also catered various Oriental themed weddings accommodating up to 600 guests. With over 30 years of experience, Chef Kenny Tang’s mastery and continued reinvention of Oriental Cuisine demonstrated through his exquisitely prepared culinary works of art, has proven that his passion meets perfection. You are in the best hands with Chef Tang and his team.